Review In A Nutshell: The Hate U Give is a modern classic, telling a story everyone needs to hear and understand. 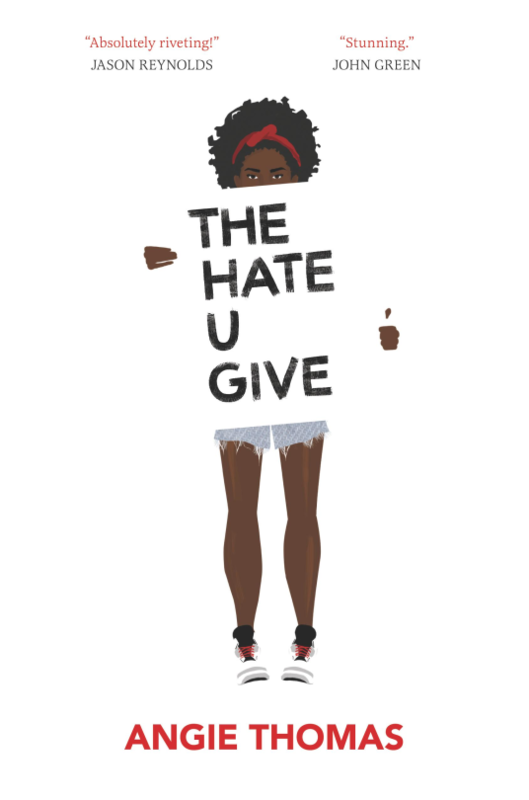 The Hate U Give follows Starr, a girl who feels like she’s trapped in two worlds. Her story begins at a party, which goes awry. When her childhood best friend, Khalil, is shot by a police officer right in front of her, she’s stuck with choosing whether to keep in the shadows and protect herself or speak out against the injustice that had been done. Meanwhile, she’s trying to keep her two worlds from colliding. With a gripping and gritty plot, honest and real characters, and a message everyone needs to hear, this book is a classic in the making. This book is brutal. It’s an emotional rollercoaster from start to finish. Angie Thomas had me laughing, crying, and everything in between. I rooted for these characters, hoping for them to overcome their struggles and end up on top. I feared for them, I cried for them, and I cheered them on when they fought back. From the protagonist to the smallest side character, they all have depth and a unique personality. The relationships between them were real and honest. I couldn’t put this book down. The writing style is beautiful and powerful. There are dozens of quotes from this book that I know will stay with me. Angie Thomas has a gift. Her words resonate and leave an empty space after they’re gone. She takes a controversial topic many people simply brush under the rug to avoid addressing and forces it center stage. Police brutality, protesting, riots, Thomas addresses all of these things in a manner so sincere and direct, holding a mirror up to society and forcing us to see what we’ve become. While discussing these heavy themes, she also manages to keep the pace going and the plot interesting. This isn’t a civil rights lecture, this is a story. A story, rooted in reality, that will follow you for years to come. Pros– This book has a such an important message, wrapped into a fantastically told story with great characters and amazing writing. Cons– The only possible downside I can see with this book is that some people – perhaps those that need it the most – won’t read it. Not because it’s bad (that is most definitely not the case), but because it doesn’t align with “their politics” and therefore it’s irrelevant. This isn’t a con on the book at all, but on ourselves and our mindsets. I just didn’t know where else to mention it. Also, I had no actual con for the book. The Hate U Give is astounding. It’s sad, funny, honest, and most of all, important. This is a book that can change minds and change lives. I know it changed mine.